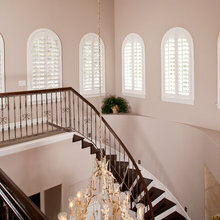 Sunburst Shutters and Window Fashions of Arizona has been serving the valley of the sun for over 35 years. 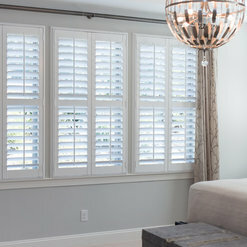 We specialize in custom manufactured window shutters. We offer plywood and real wood shutters. Our shutters are made in the USA. We also offer high quality blinds and shades. We specialize in outfitting your homes windows with the best window treatments. As a part of the Sunburst family, working with us actually has you working with the manufacturer, direct. And with the more personal touch of a friend or neighbor who’s always close at hand, today and every day. As your community’s Sunburst service provider, we’ll be here long after the sale. We love making new friends, too, and look forward to meeting you so we can help fulfill your singular window treatment needs. Call us today for a free in home consultation. If I could give this company a 10 STAR I would. From the moment I made the first phone call to when my shutters, that Sunburst repaired for me, even though we hadn't bought them from Sunburst, they were AWESOME. Every person I worked with from the Receptionist all the way to the Installer listened, were kind, professional, smart and made my window coverings look brand new again. George is the BEST! These folks answered the phone on the first ring, NO ANSWERING SERVICE. I was in tears when a dog I was dog sitting tore apart banks of wooden shutters. George took the call, walked me through what he needed, including allowing me to text him pictures and he got it, ordered it and had them installed within 5 weeks. I LOVE THIS COMPANY!!!!! I will be a returning client over and over again. Hopefully though, next time new shades for other windows. Thank you Sunburst! You are definitely # 1 in customer service. You deliver over and above. I have had two installations this year and the installers and the quality of the product is excellent!! You gotta give this outfit a chance at your windows, I'm tellin ya! I am extremely happy with the Shutters installed by Sunburst. 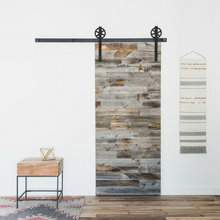 I chose Sunburst because Jason did an excellent job of explaining their product, installation and there was no pressure to make a decision that day. John came and installed the Shutters and did an excellent job and explained care and maintenance. 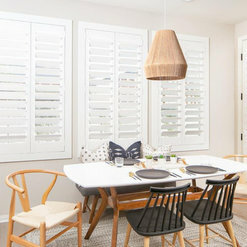 I will recommend Sunburst Shutters to anyone that might ask. The salesman was very knowledgeable, made us feel very comfortable about our choice. 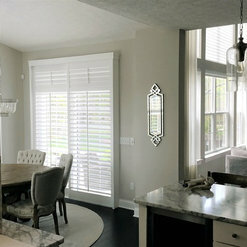 Our polyblend shutters were not shipped from China but manufactured in Wisconsin! Made in America! Yes, they can be painted in brown faux wood, baked on not wrapped like another company tried to scare us to believe. Best price out of 4 different companies by just over $1k! Bought cabinets with our savings. Finished product is beautiful and works perfectly too. They are warrantied should we ever need it. I highly recommend Sunburst. 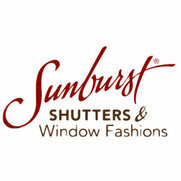 I was very pleased with the services I received from Sunburst Shutters. Greg was awesome and patient with me. I was unsure what I wanted to do and Greg provided me with all the options. Ryan and Robert were also awesome. They did a great job installing the shutters and they were very quick. 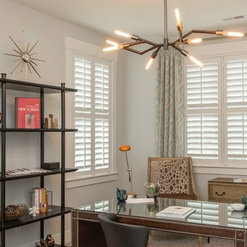 I would highly recommend Sunburst Shutters. If only all home sub-contractors would be so honest, thorough, friendly and attentive. Truly an exceptional experience. Even when they had to return for five minutes to make minor adjustments. Hire them immediately.